Ombré Infinity Scarves Just $9.98 PLUS FREE Shipping! Down From $25! You are here: Home / Great Deals / Christmas Deals / Ombré Infinity Scarves Just $9.98 PLUS FREE Shipping! Down From $25! Right now, you can get these Ombré Infinity Scarves for just $9.98 PLUS FREE shipping! These are normally $25! You can choose from 4 color combinations! These Nordstrom Scarves would make great gifts! 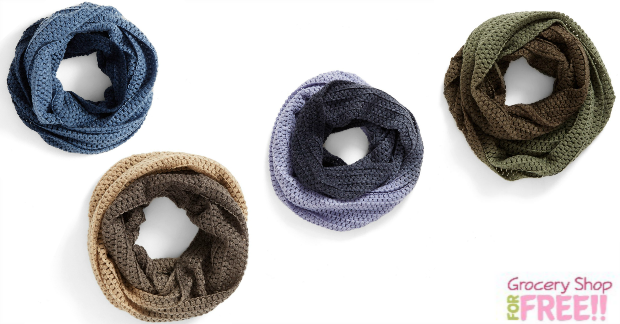 A dip-dye effect adds color and dimension to a cozy infinity scarf featuring a soft, chunky knit.